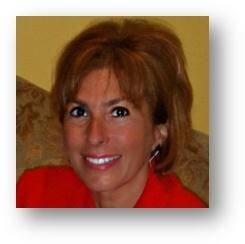 In the free webinar 3 Innovative Strategies to Improve Collections Rochelle Glassman discussed collecting patient due amounts at the time of service as part of your medical billing strategy. She reviewed how to find out what they owe and what to collect. She suggested collecting deposits for high dollar services or getting authorization to charge a credit card for balances due after the time of service. While this was just one of her strategies, participants had a lot of questions. We’ve selected the top 5 related to this section of the webinar and provided Rochelle’s answers. How long does the credit card agreement remain in effect? Does there need to be an expiration date? A: A payment agreement stays in effect until the balance is paid in full. When an agreement is made, it spells out the length of the agreement and the patient signs that agreement with the understanding of the length of the agreement. Recurring payments can be set up using a payment processing service. If you already accept credit cards, your merchant services department may already have a service in place which you can add to your current plan. Many banks such as Chase and Wells Fargo offer this option to their merchants for a monthly fee. This service is also available through other vendors such as Paypal, Chargify and Authorize.net. Is it legal to charge no-show, administrative, late, and processing fees? A: This is not a legal question but a payer contracting question. The answer depends on what your payer contract dictates related to charging the health plan members administrative fees. It is highly recommended that you review your contracts. With that being said, it is recommended that all of the practice’s administrative fees be described in the practice’s financial policy that all new and existing patients should read and execute every year or every time there is a financial policy change. It’s good to have policies reviewed by your accountant, attorney, or a qualified healthcare consultant. What is the timeframe for returning overpayments to patients? A: I tell people within 30 days. Most payer contracts define this for you so you can check your contracts, but I think within 30 days is a best practice. Are there any legal requirements with regard to keeping credit information on file? code. Your merchant services provider should meet these standards. Details on the requirements can be found at PCI Security Standards Council: www.pcisecuritystandards.org. Can you give patients’ discounts on their copay and deductibles? I thought that most payers didn’t let you do this. A: Initially, most payer contracts prevent you from offering discounts. However, I use Medicare as my guideline and they say that you should do what you can to collect payment from patients. I believe that after the practice has tried to collect any outstanding balance by sending out at least 3 patient statements over 90-120 days and if the patient hasn’t paid or made arrangements for a payment plan, that you can offer a discount to encourage the patient to pay something. This is better than not getting paid at all. If the patient has a legitimate financial hardship you can reduce the fee and/or write it off. I recommend that you use the standard Medicare financial policy to identify those patients that have a legitimate financial hardship. These financial statements provided by the patient should be reviewed and analyzed by a manager or practice owner who has the authorization to discount or write off fees based on the practice’s financial policies. It is recommended that the practice remains consistent with their financial policies and keep within the Medicare guidelines. The patient’s financial statement(s) should become part of the patient’s permanent financial record for 7 to 10 years in the event the practice is ever audited. Check out the recorded webinar to get all of the great information provided there. And take a look at our next event, Medical Practice Marketing for Profitability. Our guest speaker is Rochelle Glassman, a passionate advocate for physicians and medical practices who has devoted her career to helping doctors get paid. Rochelle is the President & CEO of United Physician Services, and is a nationally recognized healthcare consultant known for her candor, tenacity, and vision. If you have decided to hire a medical billing service for your practice, you now have a big decision to make—who will you choose to manage this crucial aspect of your business’s success? There are a lot of choices out there. You may have some questions that are specific to your needs, but the following ten questions should apply to any practice. Ask them to each service you speak with and then compare the answers. What will it cost? This is always the main thing on everyone’s mind. The rate should be under 8% of collected charges. A percentage is a better option than a flat rate—the percentage usually goes down as your collections go up. Also ask about start-up fees, termination fees, data conversion fees, and any other additional costs. Some companies charge extra for patient collections follow up and other services. Can they provide references? Have they worked with practices that are similar to yours in size, scope, and/or specialty? Do they have testimonials, or can you call someone directly for a reference? Who owns your billing data? Your billing data should belong to you, and you should be able to take it with you if you choose to change services or bring your billing in-house. What kind of training does the staff have? Are they certified? What type of ongoing training do they receive? Are they using the most up-to-date resources and guidebooks (i.e., CPT, HCPCS, etc.)? Do they have any professional affiliations? Does the service, or its employees, maintain any professional affiliations such as HBMA? Do they have a compliance plan in place? Are they HIPAA compliant? What are their security protocols? Who will actually be working on your account? Can you meet (on the phone or in person) the actual people who will be working on your account? Can you get a guarantee of transparency? How often will you receive reports showing the financial state of your business and the billing service’s progress. How will they communicate with you and how involved will you be in the billing processes? Are most of their services electronic? In this day and age, most of the processes should be electronic from eligibility verification to remittances. They should also offer credit card processing and online bill pay for patients. Are there billing follow up items that they don’t handle? Don’t assume that a billing service will do everything or that everything is included in your rate. Ask up front and be sure you know if there are services that they don’t offer. Use these questions to help guide your decision when selecting a medical billing service. It’s worth it to take your time evaluating your options so that you get the best service possible from the start. Are You Ready for an EHR? Are you ready to use an EHR? In the rush to collect meaningful use incentives, many practices overlook whether they have the time or resources to implement an EHR. From time needed to pick the right product to moving patient information to the EHR, EHRs will require physician involvement and may require additional resources to make the transition. This level of commitment should be understood upfront. 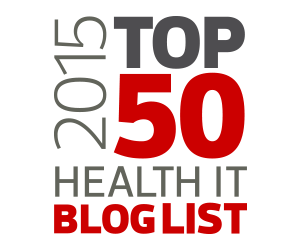 Otherwise, the goals and plan for the EHR can become distorted or impractical. For example, a number of practices have tried to implement EHRs during their busy seasons, or with reduced staff levels. In other cases, EHR plans have not addressed a lack of computer skills among staff and doctors. What are your expectations for an EHR? Like anything else, expectations drive the selection of an EHR. Set expectations too low, and the practice can end up with a product that does not have the features needed. For example, the ability to annotate an image is critical for an ophthalmology practice, while pediatric practices need a strong immunization management feature. Practices employing mid-level providers or using collaboration among doctors, nurses and staff to serve patients need an EHR with workflow management tools. The guiding principal is to set expectations based on what your practice needs to be efficient and effective and not just based on your current paper-bound operation. For example, tracking future treatment orders should include tools to help you manage patient contact and not just record the order information. calendar time to attain their practice goals and Meaningful Use. Make sure that you have sufficient time to ramp up to the measures and not focus in on the measures at the expense of accurate records, patient service, and/or physician productivity. What is a practical plan to implement an EHR for your practice? Many practices reasonably assume that the vendor will drive the EHR implementation effort. That is not in the interest of the practice and not really a service that the EHR vendors provide. EHR efforts must be structured and driven by the physicians and the practice. Physicians cannot cede control of practice operations or clinical decision making to any outside party. Additionally, the practice needs to establish the process that will allow the doctors to build confidence in the EHR as well as become familiar enough with the EHR to work with the EHR while serving a patient. Unfortunately, many physicians attempt to use the EHR without proper training and preparation. Failing to adequately prepare leads to poor patient and physician experiences. Success is often dependent on planning and setting realistic expectations. This is true for selecting an EHR, but it is also true if you are choosing a new practice management system or trying to manage a conversion from one software to another. 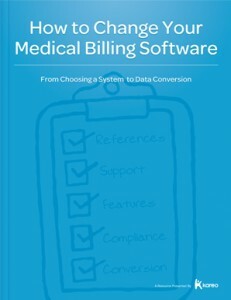 For more about preparing for an EHR, switching from one solution to another, and managing data conversions, download Kareo’s new white paper How to Change Your Medical Billing Software. 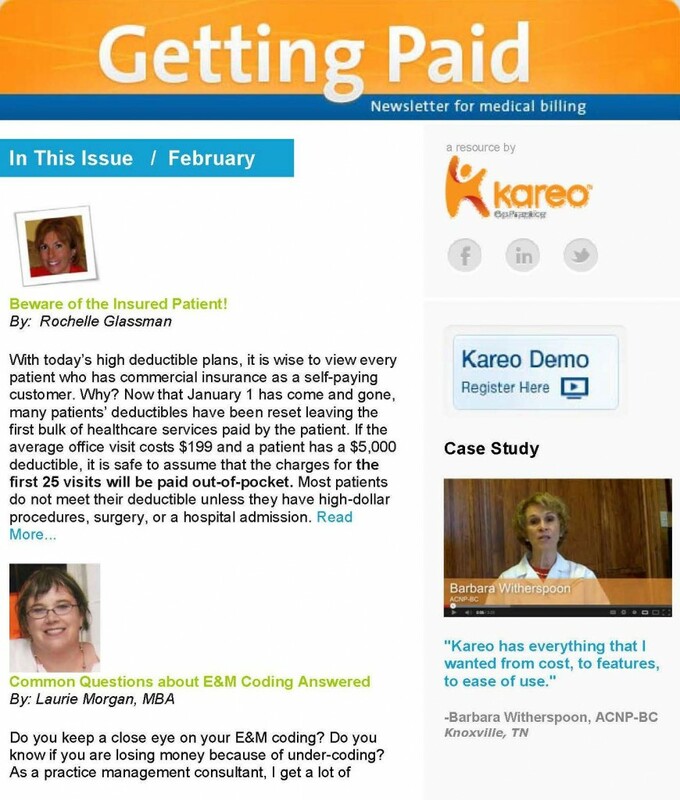 Today, Kareo launched Kareo EHR, a new application that is available free of charge. It can be used as a stand-alone solution or integrated with Kareo Practice Management and/or Kareo Billing Services, providing a seamless user experience and instant data exchange across applications. 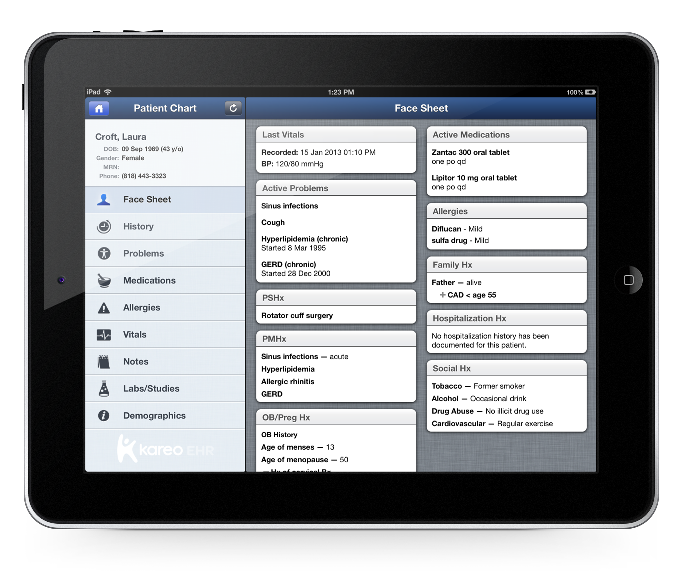 Kareo EHR offers small medical practices an intuitive and intelligent way to deliver care and engage patients through native iPad and iPhone applications or with a web browser. “Our customers asked us to develop an electronic health record to complement our practice management and billing services solutions. With Kareo EHR, small practice physicians can now take advantage of an intuitive solution designed for how they deliver care and run their practices. Best of all, Kareo’s EHR is available for free and without ads or any long-term commitments,” said Dan Rodrigues, founder and CEO of Kareo. Kareo acquired core EHR technology originally developed by Epocrates and combined it with Kareo’s medical office software platform to build the new application. Included in the acquired technology, was a comprehensive clinical knowledge base that enables documentation and treatment orders for the top 100 primary care conditions and previously unreleased mobile device technology designed to deliver efficient note taking on tablets through intuitive swipe, tap, and touch actions. The overall development effort was led by Dr. Tom Giannulli, Kareo’s chief medical information officer, practicing physician, and original inventor of much of the acquired technology. The combination of Dr. Giannulli’s leadership, Epocrates technology, and Kareo’s software platform enabled the creation of a breakthrough EHR application for small practices. To learn more about the new Kareo EHR, read the full press release or register for our next free demonstration. What Does a Medical Billing Best Practice Look Like? Private practice owners, office managers, billing managers, billers, billing service owners and others concerned about improving medical practice revenue. The February edition of the Getting Paid newsletter is out. Don’t miss the great articles and medical billing information in this month’s issue. Rochelle Glassman, a renowned practice management consultant, discusses strategies for collecting copays and deposits from patients who are self-pay or have high deductibles. Laurie Morgan, MBA, reviews a few common questions about E&M coding and provides a great tool to see if your providers are under-coding. And, Stelle Smith, offers tips on how to make the conversion from one practice management system to another. In addition, there is information about our upcoming free webinar, 3 Innovative Ways to Improve Collections, and a chance to win $150. So, if you haven’t already read it, check it out now! Have you been thinking about changing practice management systems? Is fear of the conversion holding you back? You aren’t alone. Past surveys on data migration have suggested that most people’s experience with conversion has been negative. Often, projects cost more and take longer than expected. Even worse, conversions can fail. Luckily, the same studies suggest that success is highly contingent on planning, engagement, and making good choices at the outset. Your practice management system is the financial ethos of your business so you want to do what you can to maintain as much data as possible. You also want to make sure that your new system is implemented and deployed correctly so you can maximize your new tools. You may have more data in your system than you think. In addition to patient demographics and financial information, you probably have claim data and insurance carriers, referring provider files, CPT and ICD codes, and more. Your practice management system is essentially a big database that is full of information, and you need to understand how it is setup. Should you take the data that you have in your existing system and electronically convert it to the new system? Is the data even convertible? What types of data can you convert? And if so, what will it look like once the conversion is made? Will you have the ability to run duplicate systems (the old system side by side with the new one) and for how long? Will you be able to test the converted data first before you go live? Have you converted anyone else from (your old vendor)? The older the existing system is, the more complicated the conversion may be. Your database type may not be easily convertible. You might have so much out-of-date, inaccurate, and duplicate data that it makes more sense to start from scratch with your new system. It could also make more sense to bring over only certain types of data such as patient demographics or financial data. Go into this process with an open mind. You have to be realistic about what is possible depending on your unique situation. As a small practice, your resources are limited. Time and cost will be a factor. Generally, the more you pay for conversion, the more data that can be converted. But remember that the age and type of system can affect the transfer, and it is rare to get a full line item accurate data conversion from one system to another. So it might not make sense to pay more when the data might not come across the way you want it to. 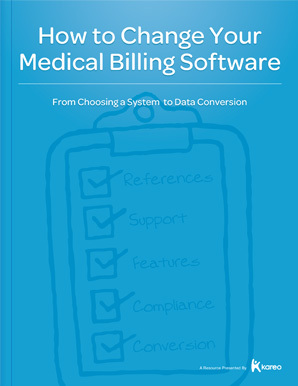 For more information on how to choose a new practice management and how to manage your conversion, download Kareo’s latest white paper, How to Change Your Medical Billing Software: From Choosing a System to Data Conversion. Many medical practices consider outsourcing billing at some point. There are a lot of reasons why a practice might opt for outsourcing, but the truth is that it isn’t for everyone. The best way to decide if outsourcing is for your practice is to analyze the pro’s and con’s and ask yourself a few basic questions about your business. Are you a new practice? Is billing for your specialty especially complex? Have you had a high turnover of billing staff or is there a lack of qualified billing staff in your area? Are your billing processes inefficient (i.e., high denial rate, high A/R, low patient collections, etc.)? Would you rather focus more on patient care and less on business management tasks? If you answered “yes” to most of these questions then outsourcing might be a better fit for your needs. However, there are pro’s and con’s to both ways of doing your billing. Simply put, in-house billing allows you to have total control over your billing processes but it also means managing staff, paying more for full time employees, and opening yourself to problems ranging from poor training and job performance to embezzlement. On the flip side, if you use a reputable billing service, you should see lower costs with a good return on your investment. Generally, you can expect a certain level of results and consistency in performance. The downside is that you will have little control over the process and the cost may vary based on your claim volume at any given time. Would you prefer to hand over control over the daily billing process? Are you concerned about the time and cost involved in managing more full-time staff? Are you worried about the possibility of embezzlement or negligence in your billing? Would you rather pay a small percentage of your claims than a full-time salary? Are you comfortable with the varying cost of outsourcing billing tasks? Are you looking for more comprehensive reporting and substantial analysis of your business? Are you concerned about staying on top of changing reimbursement and compliance issues? If you answered mostly “yes” again, then it is probably time to consider an outsourcing solution. Watch for our next post on outsourcing your billing, Ten Questions to Ask Before Hiring a Billing Service. Beware of the Insured Patient! With today’s high deductible plans, it is wise to view every patient who has commercial insurance (HMO, PPO and POS, etc.) as a self-paying customer. Why? Now that January 1 has come and gone, many patients’ deductibles have been reset leaving the first bulk of healthcare services paid by the patient. If the average office visit costs $199 and a patient as a $5,000 deductible, it is safe to assume that the charges for the first 25 visits will be paid out-of-pocket. Most patients do not meet their deductible unless they have high-dollar procedures, surgery, or a hospital admission. Patients who are on Medicare and do not have supplemental (secondary) insurance also are responsible for 20% of the cost services provided. Have you thought about this and is your practice prepared for this reality? If we aren’t careful, high percentages of insured patients can create a false sense of normalcy for our revenue cycle. We fall into the trap of believing the party responsible for paying the practice is the insurance company. Well, with high deductibles, we’d be making the wrong assumption. To avoid falling into this trap, here are a few precautions you and your staff can put in place today! Prior to the patient visit. Confirm with the patient on the phone or through a patient portal that their insurance plan remains the same. Update any change of information in your practice management system. Verify “every” patients’ insurance and benefit package prior to the patient visit. If you have a software system in place that checks eligibility for you, please use it. If not, it is worthwhile to use the payers’ websites to check, especially for new patients. Patient notification. If the new deductibles begin in January, alert the patient of what remains of their deductible prior to the appointment, and explain that payment will be due at time of service. The payment will be counted toward the deductible and will need to be paid by them, not the insurance company. Notifying the patient in advance does not open the patient to surprises at the time of the visit. This should limit the number of patients who do not pay at the time of service with the excuse that they did not know that they had not met their deductible. Collect the deductible before the patient leaves your office. Pre-collecting the deductible or a portion of the deductible before the patient visit or at the check-out counter is a great way to avoid the costly and risky process of trying to bill the patient after they have left our office. If the patient cannot afford the entire payment ask for a minimum of 50% and then request that the patient allow you to make a deposit on their credit or debit card for the balance to be applied to their account either at the time the EOB is posted or after an agreed to date no longer than 30 days. Taking a deposit on an account via credit card is becoming more common in healthcare as it is no longer cost effective to send out patient statements for small dollar amounts. Many practices automatically write off balances under $10.00, this could add up to be a significant dollar amount over 1 year. If for example you write off $10.00 for 250 patients that would be $2,500.00. For patients having expensive procedures or tests (over $500.00) who cannot afford to pay the in full at the time of service or within 30 days, it is important to have them agree to a payment plan before the service is provided. Again, the patient should approve monthly payments to be applied to their credit card until the balance is paid. Like car insurance, healthcare insurance today is often geared to pay for medical emergencies. Those patients requiring only primary care services rarely meet their annual deductibles. How can you learn about more innovative ways like this to improve collections? Join me on February 20 to hearabout other strategies to increase revenue and shorter your revenue cycle. Register here. Rochelle Glassman is a passionate advocate for physicians and medical practices who has devoted her career to helping doctors get paid. Rochelle is the President & CEO of United Physician Services, and is a nationally recognized healthcare consultant known for her candor, tenacity, and vision.